When using the fireplace stove or insert for the first time, follow the instructions and rules in the installation and operating manual. On first heating, the paint is hardened/fired, which is accompanied by a temporary smell that will later disappear, see also Glossary. 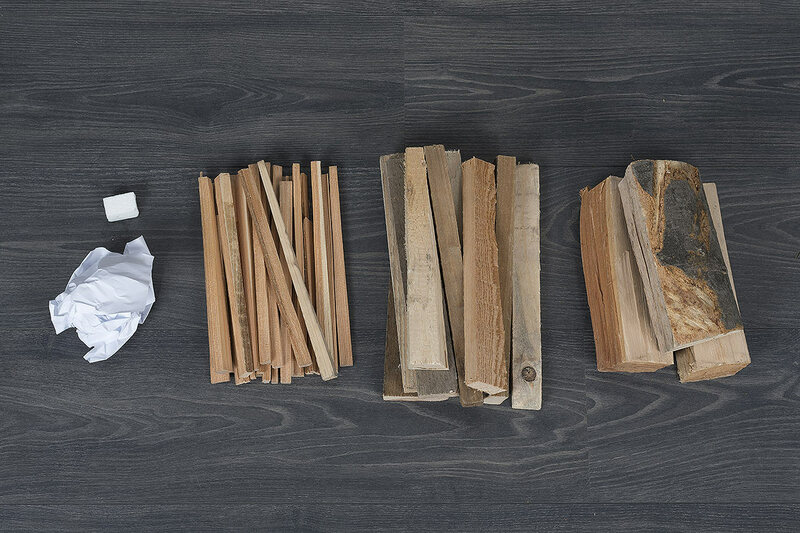 To start a fire, you will need a firelighter or paper, dry kindling and wood chopped into smaller and larger pieces. Before you start, fully open the primary and secondary air intake. 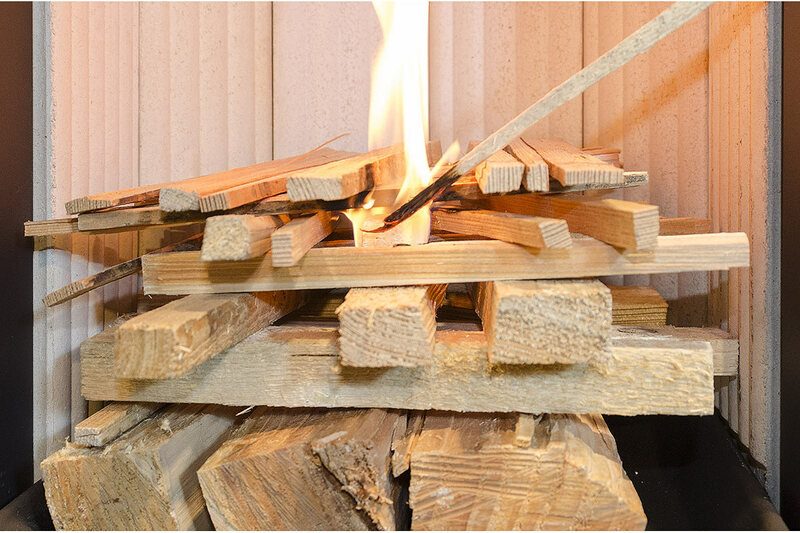 Place the larger pieces of wood in the chamber, followed by the smaller pieces of wood, firelighter and finally the kindling. Light the paper or firelighter. 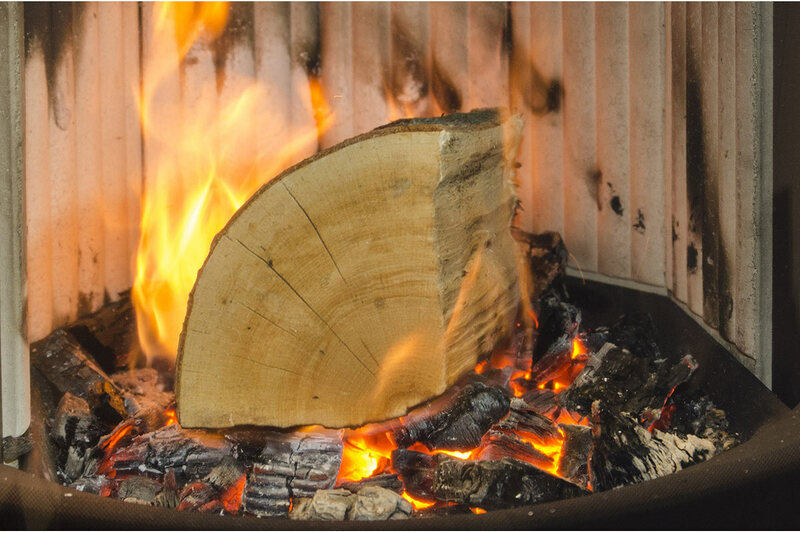 This way of starting a fire will ensure optimum heating of the system, reduce the amount of smoke, save fuel and ensure the glass stays clean. 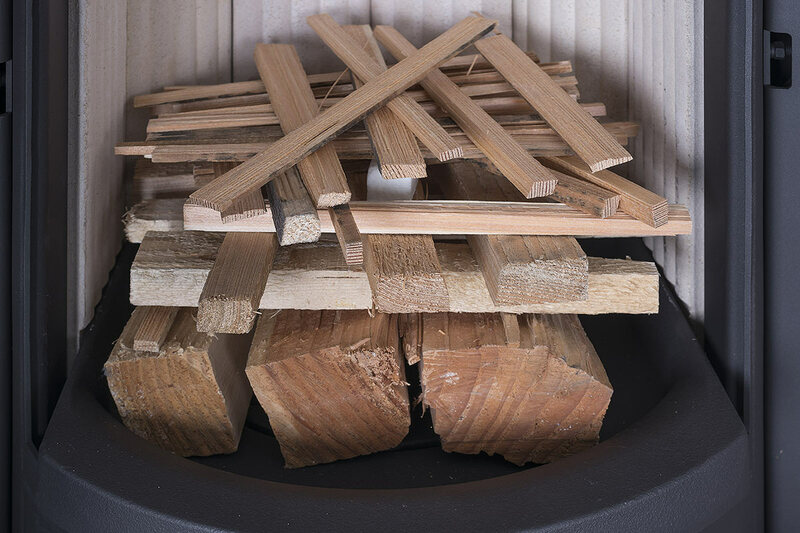 Stoking: The most important thing is to use dry wood only. 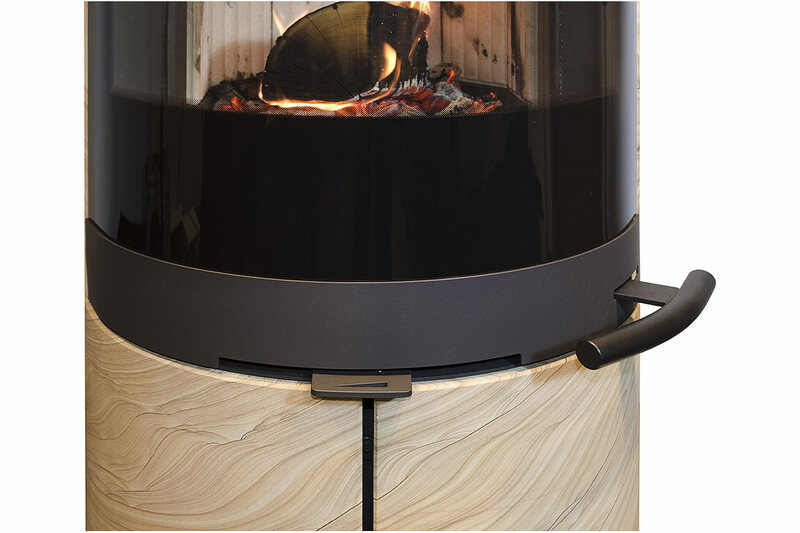 Stoking is only necessary when there are only glowing embers and no flames in the stove or insert. Fully open the air intake. Leave the door partially open for a few seconds and only then open it fully. Place 2 to 3 logs on the glowing layer. Close the door. 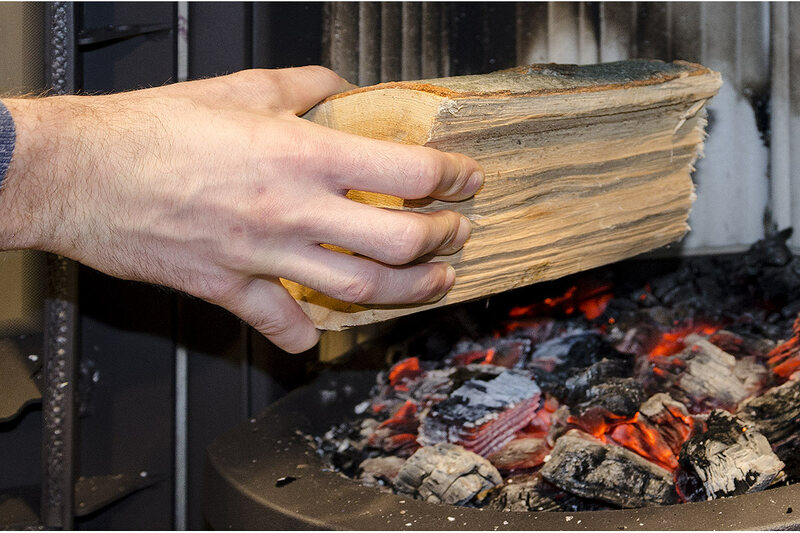 Set primary air intake to ensure optimum combustion, so the wood burns with a clear flame, without excessive smoke. Leave the secondary air intake open for the duration of heating, regulate the amount to adjust the burning intensity. Secondary air is also used to clean the glass.